Exeter Cycling Campaign - Tom Spriggs Architect "
Tom Spriggs Architect Ltd has been a supporting member of the Exeter Cycling Campaign since its inception over a year ago. The Campaign does good work in promoting cycling infrastructure provision in Exeter’s growth. Many of our streets, parks and new development are very suitable for cycling and walking. Exeter is a compact city centre that can be navigated quickly without resorting to car use. Exeter City Council car parks have increased in price over the last few years to earn more money, but also to try to discourage private car use. However, this alone will not improve the city enough. The Campaign attempts to comment on major planning applications, in an effort to ensure that large developments take cycling into account right form the start, and not just as an after thought or box ticking exercise. Wherever possible Tom Spriggs Architect Ltd makes site visits and journeys to meetings by bike, and on the whole clients are welcoming of this form of transport, even if the dress code is less smart than it could be. Will the owner use a bike to travel? Where would the owner store a bike, helmet, lock and coat? Could the owner be persuaded to travel by bike, if it were easier for them to do so? Can the design therefore be amended for these improvements for the owner and future occupants? While not necessarily as ground breaking as the Campaign’s work on major planning applications, it should help in small step by step pieces and is a small additional commitment to improving Exeter. In the meantime, encourage your employer to make cycling easier, sign up to the charter, and give it a go. Like all things in life, the difficulties you initially meet will ebb away with increased fitness, practice, experience and enjoyment. 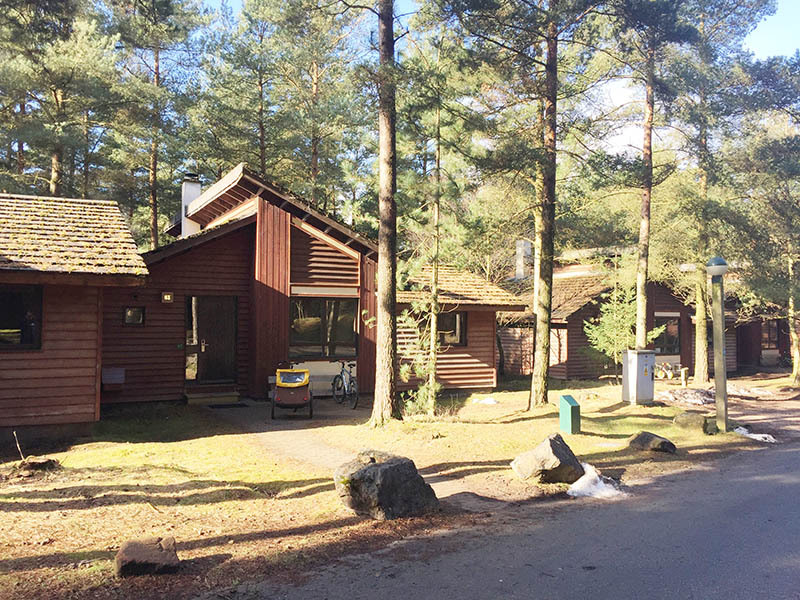 Successful Cycling and Walking priority design at Center Parcs showing the UK population CAN and WILL cycle and walk to local facilities if encouraged.